Aromatherapy Associates are delighted to announce our panel of Wellbeing Ambassadors. The founders of the company, Geraldine and Sue, were passionate about improving the health and wellbeing of as many people as possible. As a brand, we are committed to this legacy and continue to improve people’s wellbeing every day with the same powerful oil blends they made over 30 years ago. We know we can change how people feel for 6-8 hours with our products, now we want to change how people think and their habits allowing them to lead healthier more mindful lifestyles. Our vision is to help not only our consumers but our spas, retail partners and internal staff to develop strong inner peace and foundations to help manage the day to day stresses. As our lives become busier and our minds get more consumed with finding a work-life balance our Wellbeing Ambassadors will help with finding clarity and purpose. Just as our products are there to help ease challenging aspects of our lives, our Wellbeing Ambassadors are there to take your inner strength to new heights. 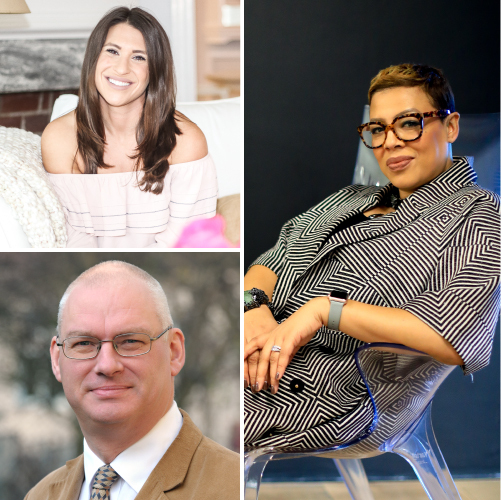 Our Wellbeing Ambassadors are a panel of three individuals who specialize in enhancing and nurturing life balance, supporting self-belief and encouraging healthy living. Each of them are expertly trained in their field and work to provide expert advice to improve your wellbeing every day from sleep, work, fitness, and nutrition.